A runner loves to run. This is a simple sport that’s much simpler in nature. A runner doesn’t have a team or a coach, therefore the runner must be their own coach and search for ways to stay motivated. The type of gear worn during a run can have a big impact on how well you perform and how fast you are, which is especially important to individuals who like to compete. The right type of running shoes can make all the difference when it comes to speed and comfort, but so can the running leggings. The type of pants you wear while you run is often overlooked and most people aren’t aware of the awesome options of gear available exclusively for the runner. Why aren’t Running Leggings more Popular? Running leggings are a little different than running pants in terms of thickness. These leggings will show every curve and problem area so many women tend to shy away from wearing them. However, they can help to keep you warm in the winter and cool in the summer, thanks to the lightweight synthetic material. The warmth they provide is one of the more obvious benefits of wearing running leggings during winter. 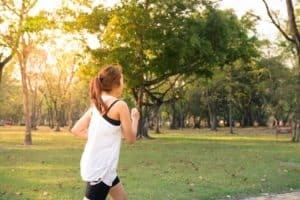 As a runner, you’ll probably need to wear more clothing during the colder months, but as you know, once you get running you start to warm up pretty quickly. Because of this, you don’t want to be weighed down with heavy, bulky sweatpants. Leggings will keep your warm, without overheating you. Most types of running leggings are also made from wicking material, which works by pulling the moisture away from the skin. 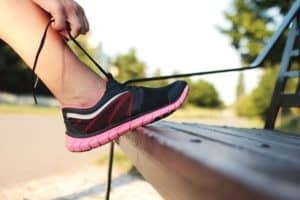 Running in sweatpants can actually make you feel colder because the cotton material soaks up the sweat and is very slow-drying. These type of pants can also do double duty of sorts by protecting your skin from the sun’s harmful rays during the hotter months. Most of these pants consist of a type of compression fabric that’s designed to fit like a second skin, promoting increased circulation in the legs and extra support. For serious runners who compete, clothing that offers improved circulation is a must-have. Wearing circulation promoting clothing can improve a runner’s energy level while minimizing energy waste which can occur during a longer race. Wearing these leggings can prevent your legs from becoming tired during a race which definitely gives you an edge over the competition. They can also help to prevent the type of wind resistance you’ll experience when wearing baggy pants or certain types of running shorts. These leggings are contoured in a manner that’s designed to meld with your normal stride. 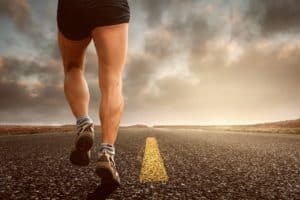 When you’re a competitive runner, every second saved is huge, so wearing pants that can actually increase your runtime can end up being a true lifesaver in a close race. The cost of this type of running gear will vary with each manufacturer, but typically they’re priced anywhere from $20 to $60 a pair. As you can see, the type of gear you wear during a run can have a major impact not only on your motivation but your entire running experience. Moisture-wicking material: High quality running leggings are made of moisture wicking material designed to keep you cool and dry. This material can also prevent chafing and rashes from developing. Flexibility: Obviously, most pairs of leggings are stretchy and flexible, but cheaper pairs of leggings don’t offer the type of give you need for an intense run. In fact, some can even rip along the seams when they’re put to the test. Machine washable: You want a pair of leggings that are low maintenance. While most leggings must be line dried, steer clear of leggings that have to be washed by hand. We’ve done our research and found the best pair of leggings for your next run. Introducing the Mirror leggings by Under Armour. 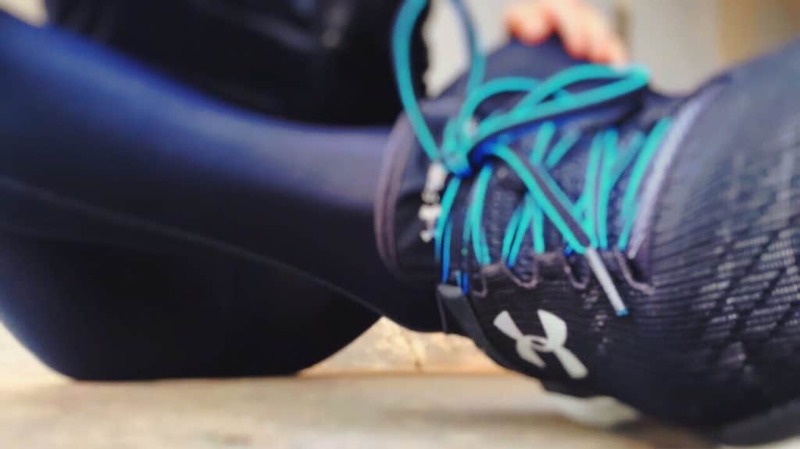 If you’ve ever worn Under Armour gear, then you know this brand designs its fitness gear to last. Durable, low maintenance, and offering top of the line fitness fashion, it doesn’t get much better than leggings from Under Armour. These running leggings are made out of UA Studio Lux fabric which is soft to the touch and delivers just the right amount of support. This moisture-wicking material will keep you cool and dry during a run and is designed to prevent chafing and skin irritation. The waistband features a hip rise design using a flat, wider band for ultimate comfort. Not only is the material soft, airy, and light, but it also features four-way stretch construction. These leggings are designed to maintain their shape and offer ultimate mobility. You won’t have to worry about these leggings ripping during a challenging run. Under Armour takes it a step further by using their patented advanced seam placement design which helps to prevent chafing. These leggings are also available in nine color options including black, black and silver, aurora purple and midnight navy, black and beet, midnight navy and black, midnight navy and tonal, rhino gray and tonal, stealth gray and gray area, and black and silverpoint. You can also choose from a total of six sizes ranging from extra small to extra-extra large. These leggings run a size small. We recommend ordering one size larger than you normally wear in order to get the perfect fit. Under Armour has done it again by producing durable, lightweight, and eye-catching leggings that are designed to last. For some, these leggings are a little on the pricey side, but considering how durable they are, we feel they’re worth every penny. We gave these running leggings a rating of five out of five stars.